This is one of a series of articles about campus climate issues that were brought to light by the university’s campus climate survey, the results of which were presented in September 2017. At first, Eulice Claros didn’t get the insult. A grade schooler in the predominantly white, southwest Missouri town of Pleasant Hope, population 614, Claros was getting off the school bus when some other kids – “troublemakers,” as he now describes them – hurled insults about Mexicans. As the son of Salvadoran immigrants, Claros didn’t realize that the slurs were aimed toward him. And Claros, who was born in Connecticut, didn’t think of himself as anything other than a U.S. citizen. Today, Claros is among a record number of Hispanic-American students enrolled at Missouri S&T. The mechanical engineering major also serves as president of the S&T chapter of the Society for Hispanic Professional Engineers (SHPE), which serves as a connector for many students of Hispanic, Latin American or Latinx backgrounds. While he and other Hispanic students may not face the type of hate speech Claros experienced in grade school, they are not immune from it at S&T or in Rolla. “I’ve got a pretty thick skin because of where I grew up,” Claros says. 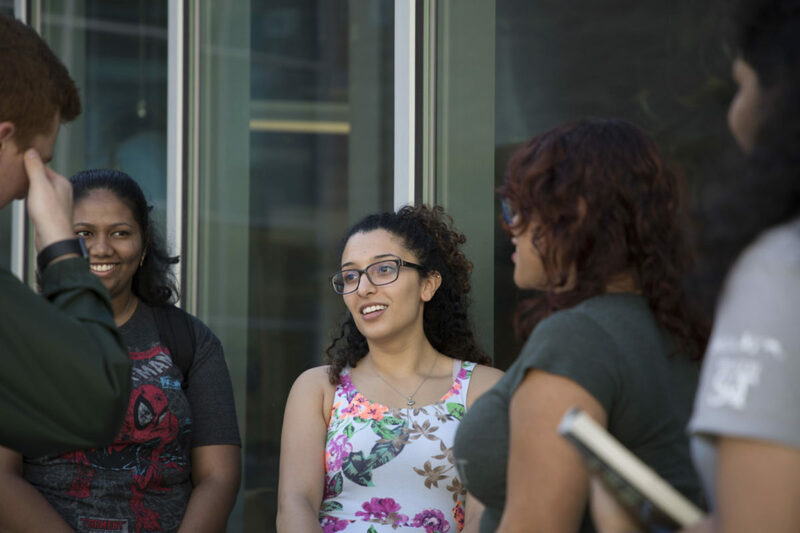 Still, Hispanic students sometimes feel isolated on a predominantly white campus, and they often confront stereotypes that are difficult to shake. SHPE treasurer Isamar Alhakeem can relate. After transferring to S&T from Metropolitan Community College in her native Kansas City, Missouri, Alhakeem – the daughter of a Mexican mother and Iraqi father – had a tough time finding a connection with her Hispanic heritage. It wasn’t until roll call in one of her classes, when she heard the instructor call out an obviously Hispanic surname, that she realized she wasn’t alone. Claros, too, felt somewhat isolated after transferring to S&T from Missouri State University in Springfield, where the Hispanic population was more robust. But he discovered SHPE on S&T’s OrgSync online student community and decided to join the group. “Wherever I am, I always look for the Hispanics,” he says. SHPE is one way Hispanic students can stay connected, whether members are from the U.S. or abroad, from small towns or larger communities, or undergraduates or graduate students. 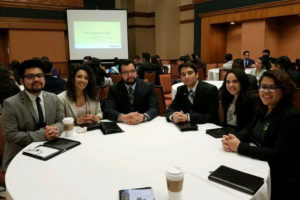 A recent SHPE meeting drew students from the U.S. territory of Puerto Rico, urban and rural areas of the U.S., and Colombia and the Dominican Republic. That information wasn’t obvious to Nicholas Villanueva, a 2006 history graduate. 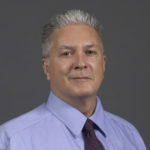 Nor does Bill Gillis, an assistant teaching professor of civil and architectural engineering at S&T who earned a bachelor’s degree in mechanical engineering here in 1999. Now a co-advisor to SHPE, “I didn’t know they existed” when he was a student, says Gillis, a Los Angeles native whose grandmother is from Mexico. Gillis joined SHPE as a professional and discovered the S&T chapter two years ago during MinerRama. Claros, Alhakeem and other SHPE members are trying to raise their organization’s visibility. As part of that effort, they’re working with co-advisor Shannon Cox, a member of the student diversity initiatives staff, to promote Hispanic Heritage Month activities across campus. S&T’s U.S.-born Hispanic student population has grown significantly in recent years – up 14.8 percent from 2016 to 2017 (fall 2018 numbers are not yet available). Even so, the community is small, and encompasses a diverse array of countries and cultures. One thing that unites most Hispanic students at S&T, however, is the common language. Alhakeem and Claros both speak fluent Spanish, having grown up in Spanish-speaking households, and that connects them with other students – particularly international students from Spanish-speaking countries. But that common language is fading from the Hispanic-American culture. According to the Pew Research Center, in 2015 nearly 90 percent of U.S.-born Hispanics either spoke only English at home or spoke English “very well.” Claros sees this as creating a hybrid culture among Hispanics resulting from a “heavy American influence” in Hispanic households and families. That’s one reason why Hispanic students at S&T sometimes get together informally to cook, listen to Hispanic music and celebrate their diverse cultures. Claros enjoys preparing pupusas, the traditional dish of El Salvador, to share with fellow SHPE members. “Almost every week, we’ll get together and cook at someone’s place,” he says. Even with a record number of U.S.-born Hispanic students now enrolled at S&T, the students hope more will come. But they also want to be sure S&T provides opportunities for U.S.-born and international Hispanic students to connect. SHPE co-advisor Gillis suggests Hispanic students not only get involved with SHPE but also with other diversity organizations on campus. “These groups will help you understand the campus resources that are available to you,” he says. It boils down to making connections. Follow S&T’s SHPE chapter on Facebook.